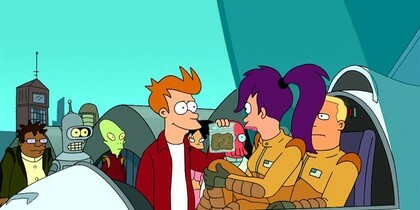 S7/E9: The Planet Express crew goes on a fossil dig to try and prove the theory of evolution. 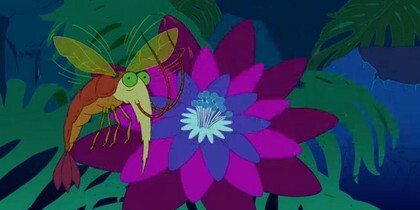 S7/E8: Amy wakes up late, takes her exam in her underwear, and fails miserably. 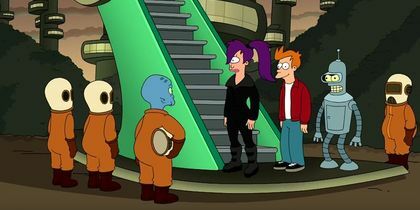 S7/E8: The Planet Express crew goes out before Amy's big exam. 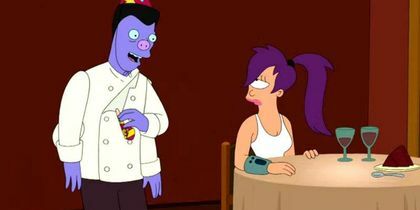 S7/E7: Fry accidentally stands Leela up on her birthday. 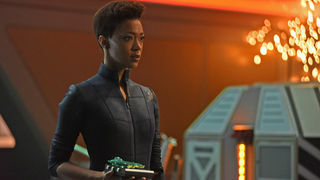 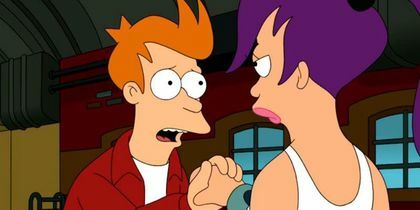 S7/E7: Fry skips a bachelor party to make up for missing Leela's birthday lunch. 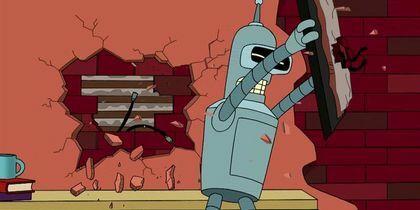 S7/E6: Bender struggles with his mortality after learning that he suffers from a manufacturing defect. 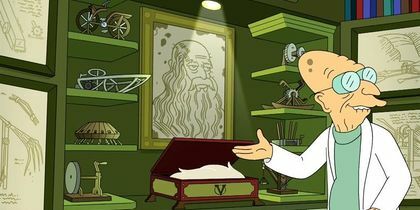 S7/E5: The Planet Express crew examines Da Vinci's "The Last Supper" and discovers Saint James was a robot. 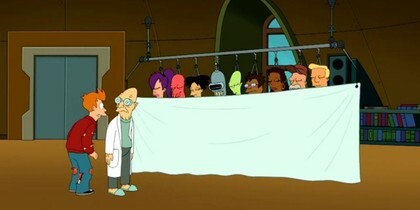 S7/E5: Professor Farnsworth attempts to make Fry feel better about his intelligence but fails miserably. 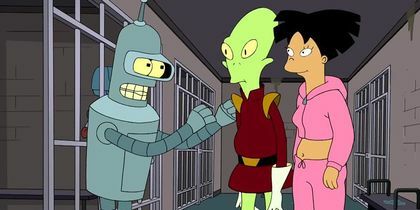 S7/E4: A trip to bail Bender out of jail becomes the end of Amy and Kif's relationship. 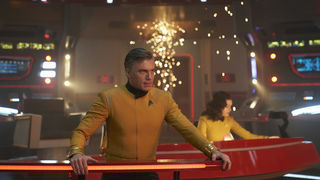 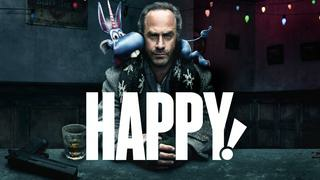 S7/E4: Amy and Kif try to work through their rough patch, but they get interrupted by an imprisoned Bender. 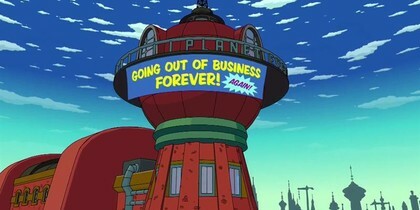 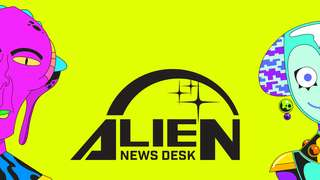 S7/E3: The Planet Express crew delivers e-waste to a third world and discovers the horrors occurring there. 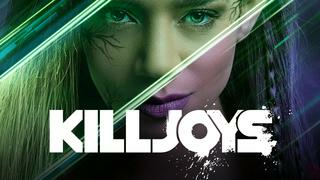 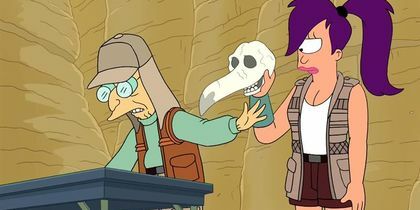 S7/E3: Leela's newfound morals around disposable electronics vanish when a new EyePhone comes out. 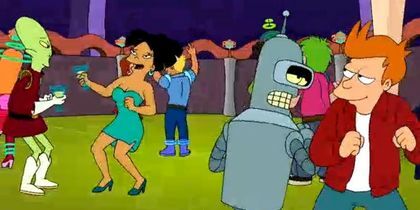 S7/E2: Leela and Zapp Brannigan agree to enter the Death Sphere. 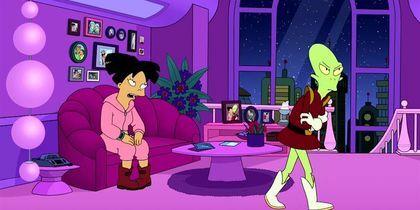 S7/E2: After a failed mission, Leela and Zapp Brannigan wind up alone together on a lush, fertile planet. 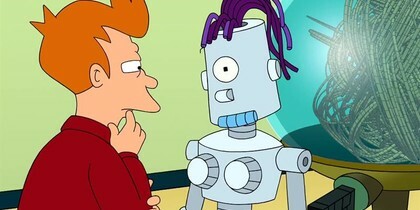 S7/E1: After Leela dies in a devastating spaceship crash, Fry creates a bot with some strange similarities. 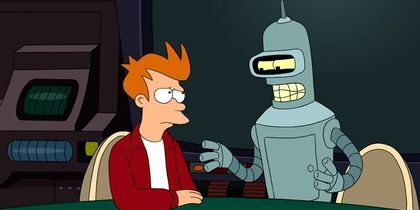 S7/E1: Fry wakes up with severe burns, but he soon discovers he's much better off than the rest of the Planet Express crew. 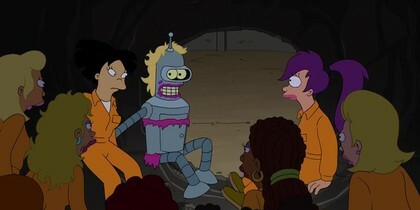 S6/E16: Bender bends like he's never bent before to help the feministas break out of prison. 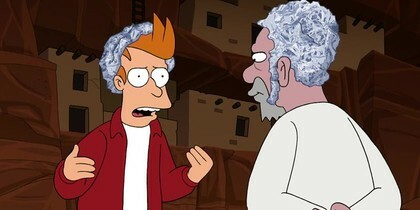 S6/E16: Fry devises a plan to disable The Dark One and stop Mr. Wong from destroying the Violet Dwarf. 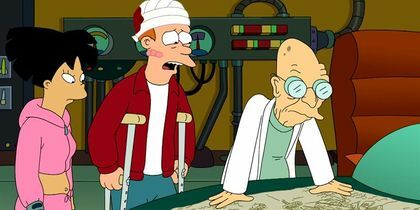 S6/E15: Mr. Wong admits he always wanted a son, pushing Amy to join the feministas. 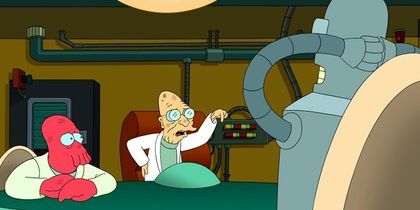 S6/E15: Mr. Wong commissions Professor Farnsworth to build him a fence that will keep out the protesters. 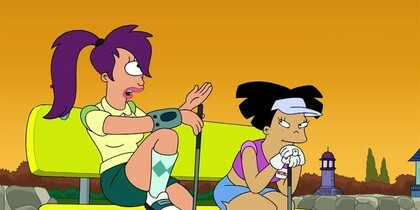 S6/E14: Leela disagrees with how Mr. Wong's club is run. 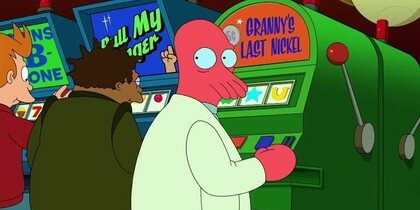 S6/E13: Fry goes to New Vegas and gets more than he gambled for.